Are you thinking about a Campervan Holiday but not sure where to start? Planning ahead before you commence travel is a great way to ensure your holiday runs smoothly and without any unexpected surprises. This free eBook includes information about things to take, what to do when you are in your campervan and other ideas to get you started. 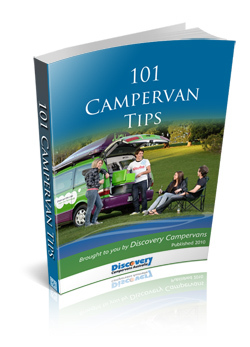 Take the hassle out of planning and preparing for your next campervan holiday by reading 101 and more Campervan Travel Tips.